At Clark Drainage, we’ve made it our mission to provide customers with the best possible service at the most competitive prices in Glasgow. As a long-established company, we work with the best technicians around. They are all highly-trained, and come equipped with everything needed to fix your blocked drain there and then. From overflowing manholes to broken or blocked drains, Clark Drainage is always on hand to help. We know how disruptive a damaged drain can be to your home or business. That’s why we are available 24 hours a day, 7 days a week- and our technicians are only ever a phone call away. Waiting around for a blocked drain to get fixed can end up making the problem a lot worse, so it’s always best to tackle things right away. No matter where you are in Glasgow, we aim to reach you within two hours, and in many cases we are on-site within an hour of your call. We always give emergency enquiries top priority, so why wait? Get peace of mind by calling the drainage experts on 0808 164 0776 now! When it comes to drain unblocking, we like to do things properly. That’s why we only use the best technology, tools and technicians when dealing with any drain-related issue. We’ve been keeping Glasgow’s drains flowing smoothly for over a decade, and our customer service is second to none. At Clark, there’s no job too big or too small for us to handle. We cover all aspects of drain unblocking, so whether your pipes have been damaged by a tree root, or there’s an issue across your drainage system, we know the right way to fix the problem. Of course, there’s never a good time for your drains to get blocked, whatever the cause. In most cases, blockages are caused by broken pipes, or the build-up of lime scale and hair, and even soap residue. While these issues are common, they can still be extremely stressful to tackle on your own. That’s why Clark Drainage’s expert technicians are always on hand to fix your drainage faults fast, and put your mind at ease. 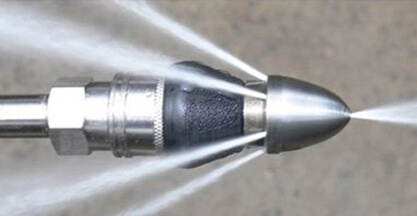 At Clark Drainage, we often use high pressure water jetting to clear blocked drains. This is an extremely flexible solution, since it works across everything from toilet drains and bath drains to main drains and even sewers. What’s more, it is also highly effective, and is usually all that’s needed to put things right again. 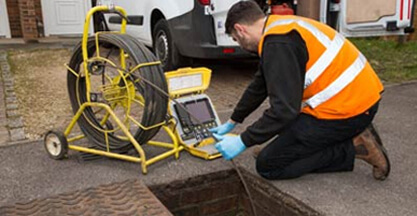 For more complex issues, we use CCTV drain surveys to determine the precise cause of the problem. This helps us to give customers highly accurate quotes on how much it will cost to solve the problem, and also allows us to fix things without causing any further damage to the pipes and drainage system. When you call Clark’s, you can rest assured that we will do everything possible to restore your current drainage system. By using the most advanced technologies and drainage techniques around, we save both ourselves and our customers time and money. After all, why fork out for drainage replacements if there’s a simpler, cheaper alternative? In the rare occasions where our technicians deem your drainage system unfixable, they will work with you to provide the most cost-effective plan moving forwards. As well as providing the most reliable drain clearance service around, we also pride ourselves on offering our customers extremely competitive prices. We know that a blocked drain isn’t something you can budget for, which is why we keep our prices as low as possible. You won’t find a cheaper service anywhere else! 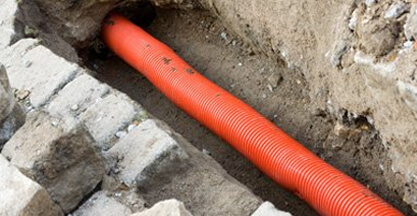 What’s the difference between drains, sewers, and lateral drains? 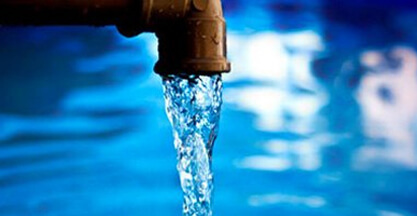 Put simply, a drain is a singular piped system that exports sewage from an individual property. This flows into the sewer, which is a shared waste water system between multiple properties- usually a whole street. Lateral drains also flow into the sewer, but they are located outside of a public property- think the drains you find at the side of a road. 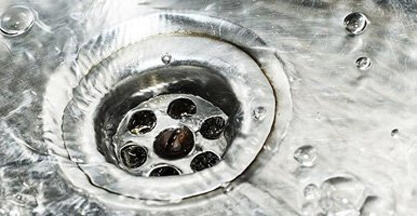 While the source of a blocked drain is usually deep within the pipes, there are still a number of tell-tale signs to watch out for. For instance, if your toilet has stopped flushing properly, or if a manhole outside your property keeps overflowing, then it’s likely that the drain is blocked. Other warning signs include foul smells coming from plug holes, or loud slurping noises as water drains down them. 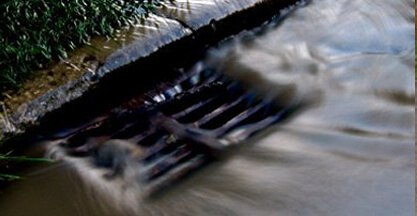 Who is responsible for maintaining and unblocking drains? If the unblocking and repairing needs to be carried out within the boundaries of your property, then it is the homeowner’s responsibility to fix the problem. However, if the issue lies outside your property- for instance, in the sewer or in a drain beneath the pavement- then it may well be the responsibility of the local council. If you are unsure about who is responsible for blocked drains on or around your property, then we recommend you speak to your neighbours first. If they are all having the same problem, then you may be able to avoid charges for an unnecessary call out.